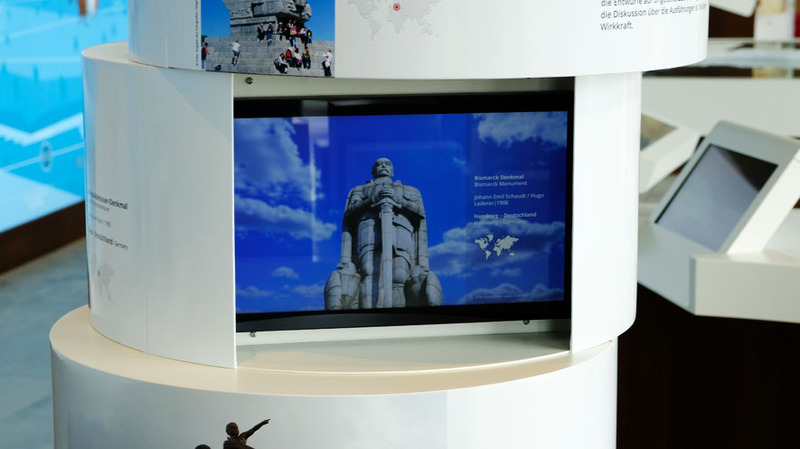 The Kaiser Wilhelm Monument in Porta Westfalica has been the region’s most significant landmark for the last 120 years. 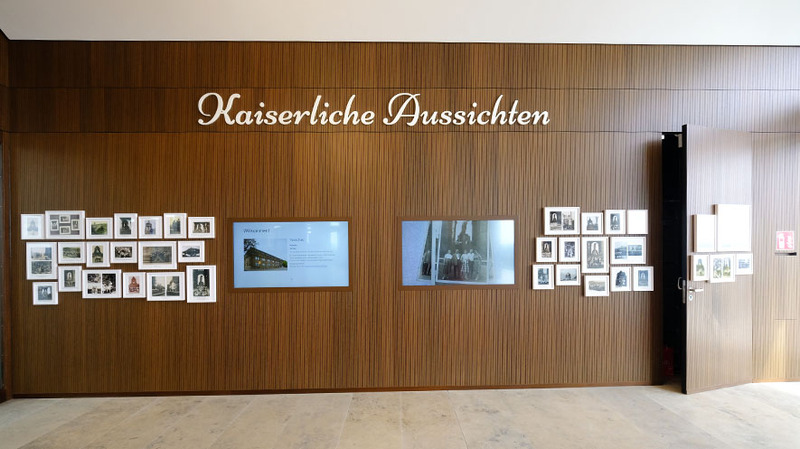 It was built from 1892 to 1896 in honour of Kaiser Wilhelm I. 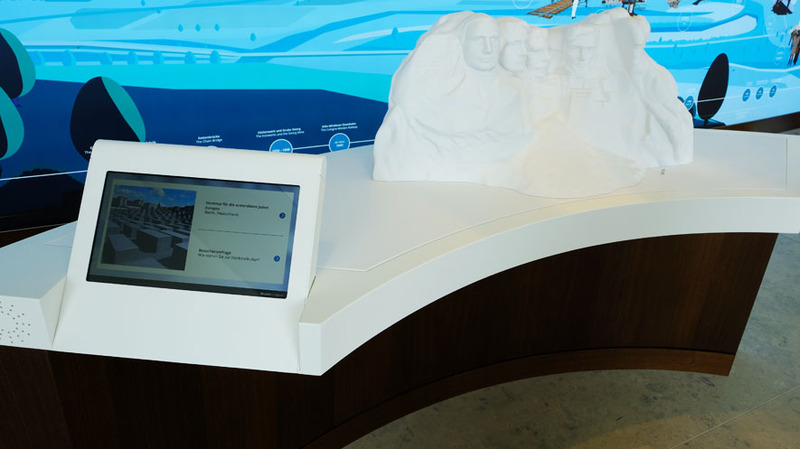 After a two-year renovation period, the monument reopened with a new visitor centre on 8th July 2018. 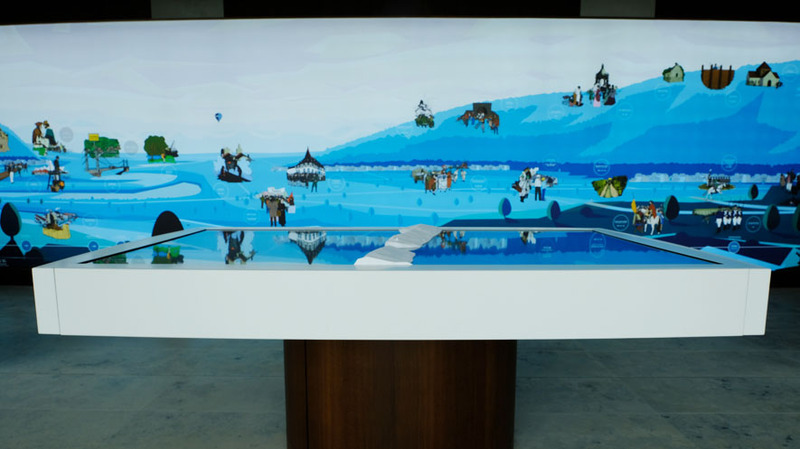 The new visitor centre is located inside the ring-shaped terrace, which has been rebuilt according to historical records. 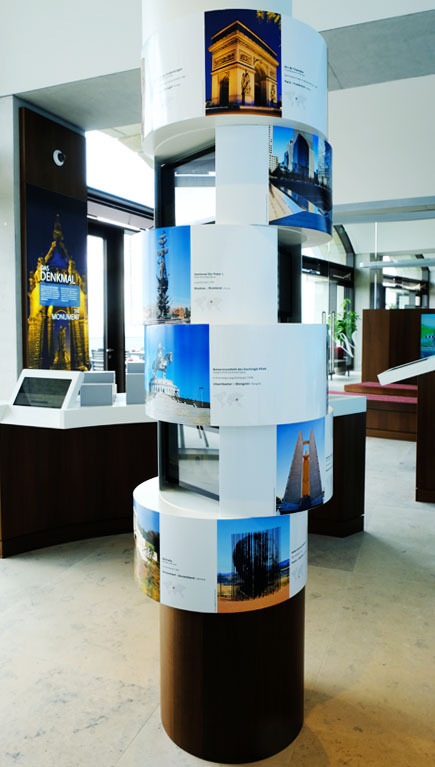 In the 270 m² exhibition area, visitors can find out more about the 88-metre-high monument at six interactive media stations. 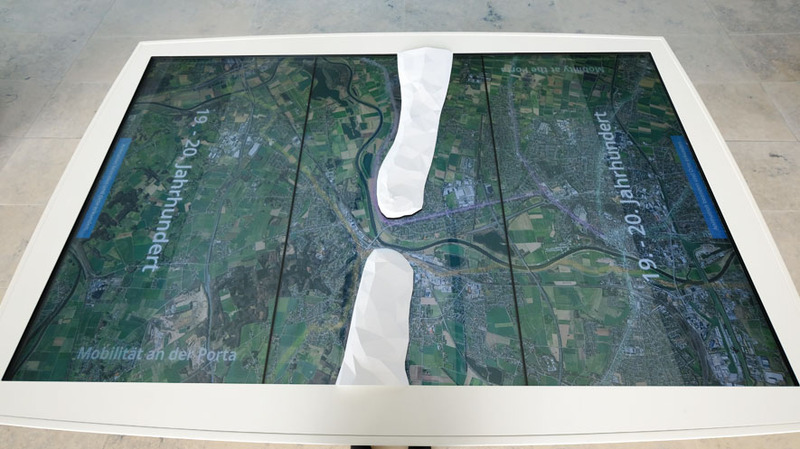 For example, there is a large interactive table dedicated to the development of the natural and cultural landscape around Porta Westfalica. 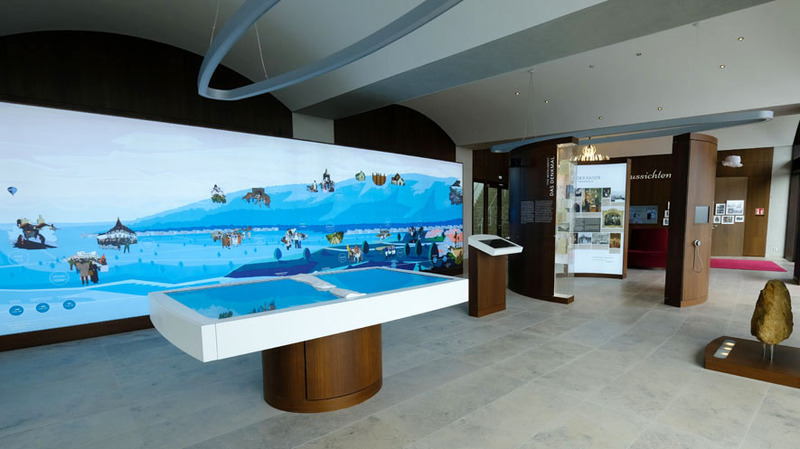 Another of the installations consists of a 17-metre-wide panoramic wall and three interactive terminals which explain the history of Porta from its geological formation to the present day. 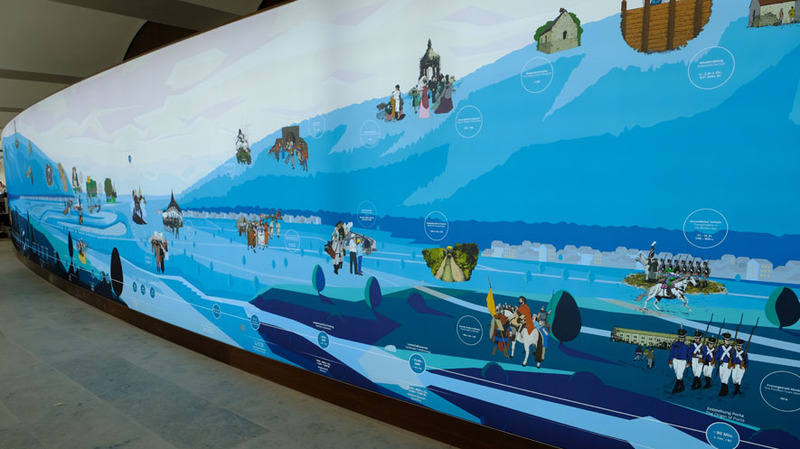 The installation includes 33 historic hotspots, all of which can be explored in detail. 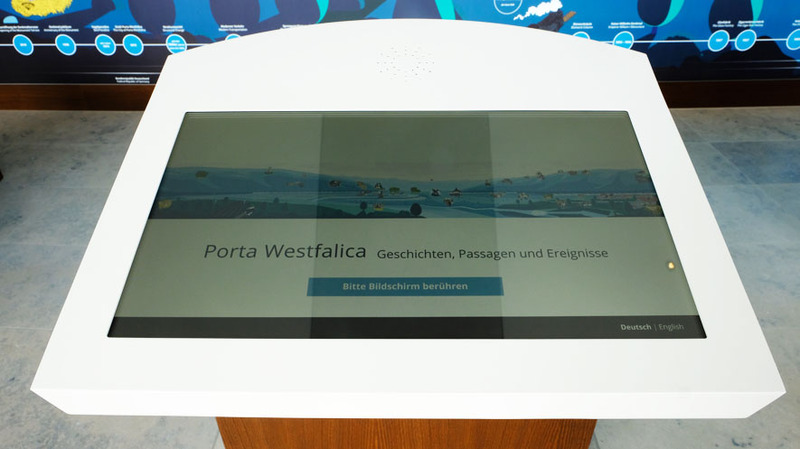 To provide a wider context beyond Porta and the monument, three interactive screens offer a multiple-choice questionnaire on the topic of cultural heritage, enabling visitors to reflect on their own opinions. 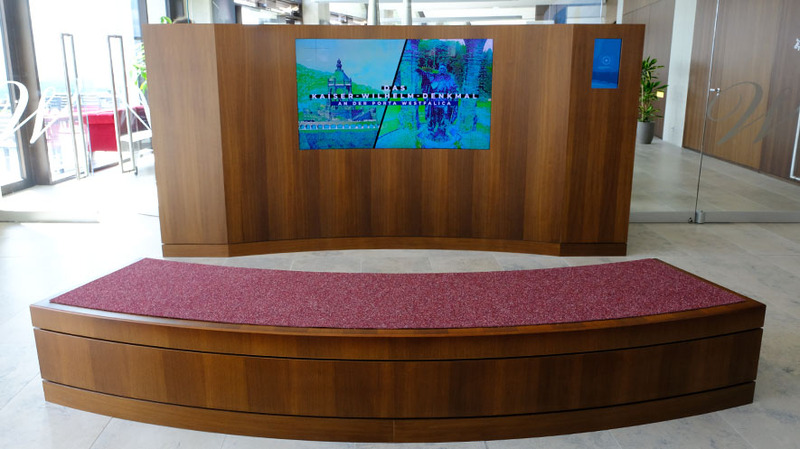 235 MEDIA was responsible for installing six media stations for the visitor centre, as well as producing and implementing the media content and realising the media technology.